In Chapter 3 of Moving Images and a number of mediateacher.net posts (for example, check out Part 2 from this series or the Kevin Goff interview), we have discussed cutting edge moving image creation designed to produce advertising, public service messages, issue-driven content, and a wide array of visual storytelling. Here is a very interesting current resource: the TBrandStudio Selects for 2017 from the world of animation. The chosen mediamakers are: Nice and Serious, Block & Tackle, Bhakti Patel, Mighty Oak, and Pete Levin. Each year, mediateacher posts pieces that discuss Oscar nominees or winners — often focusing on those under-the-radar treats: animated, live action, and documentary shorts — and today will emphasize a standout category from this year: animated feature film. The lineup of movies nominated in animation highlights a strikingly diverse quintet of movies, including two foreign selections, the French-language My Life as a Zucchini and non-dialogue The Red Turtle; along with a new stop-motion treasure from Laika studios, Kubo and the Two Strings; and two thought-provoking, delightfully spirited Disney CG offerings, Zootopia (discussed in this earlier post) and Moana. Interestingly, of the three movies, a majority are animated using (relatively) old-school techniques — drawn, 2D animation and figure-based stop motion. Yet again, when it appears that digital advances will steer moviemaking in a particular direction by making things “easier” for craftspeople or “more realistic” for viewers, such as with CG-based animation, filmmakers will return to — and reinvigorate or sometimes reinvent — traditional techniques that help them to communicate the most meaningful and emotionally vibrant expression of their stories. Want to see those Oscar shorts? Most of them, including the winners of Live Action Short — Stutterer — and Animated Short Film — Bear Story — are available here. In fact, Bear Story marks the first time a Chilean film has ever won an Oscar, which was movingly noted by its creators, Gabriel Osorio and Pato Escala. For the documentaries, it is not possible to go to one single source to watch all of the nominated shorts, but the winner directed by Sharmeen Obaid-Chinoy, A Girl in the River: The Price of Forgiveness, will be available to HBO subscribers next week since it was produced by the renowned HBO documentary division. Related to celebrating things, I will add an expression of joy for Emmanuel Lubezki‘s astounding third win in a row for cinematography (after having shot an incredible series of features with Alfonso Cuarón, particularly Children of Men, Y Tu Mamá También, and A Little Princess) shooting essentially without lights. And add to that a resounding cry of triumph for the maestro, Ennio Morricone, for such a well-deserved victory and one of the most touching moments of the night. It was a genuine pleasure to see him up there receiving his award with such a wonderful address and message to his respected peer, John Williams. What a composer. Ennio Morricone has scored hundreds of movies, and there are so, so many that are absolute masterpieces. Here is one you have probably never heard of: Gli Scassinatori. Check it out and you will see what I mean. Il maestro, indeed. Among the many victories for Mad Max: Fury Road (also so well deserved all around) was Film Editing for Margaret Sixel. Yes, it was a woman who was in charge of editing that furious voyage of footage! And did anyone notice how many women were among the winners on stage, and not just in acting categories? For the big winner at the end, Spotlight, it was two women who were speaking from among the film’s producers, Blye Pagon Faust and Nicole Rocklin. Throughout the media, there is lots of heated debate revolving around this year’s Academy Awards. Here’s an invitation to escape the controversies about the lack of skin-hued diversity among the nominees for a moment and check out the short films nominated in the three categories devoted to shorts: animation, live-action fiction, and documentary. Visit ShortsHD for info about where you can find the Oscar shorts and lots of other short film info. And by the way, there’s lots of ethnic diversity represented in many of the shorts nominated for Oscars in these categories. But evidently, these movies don’t count for anything. However, they certainly do for us and for anyone who loves inventive, invigorating moviemaking off the beaten path. So check them out, you will probably find something you like. In discussions of CG and visual effects on various occasions – such as ones at mediateacher.net with visual effects supervisor Greg Butler – one of the topics that regularly arises is the particular challenge of animating people. This involves the concept of the uncanny valley – that territory whereby the closer one gets to creating an artificial human, the creepier and more repellant that version becomes (recently confirmed through research by Maya Mathur and David Reichling). It seems to be not such a big issue for gamers (such as with Assassin’s Creed, Call of Duty, or Far Cry), but in fiction movies, the trend has been towards creating very cartoonish-looking people. Among the most famous examples of the uncanny valley turning off viewers have been in the performance capture features of Robert Zemeckis, such as in The Polar Express and Beowulf, as well as earlier Pixar efforts such as Tin Toy (with that unintentionally gruesome baby) and Toy Story. When reviewing the history of CG in animated features, it is interesting to track the development of animating humans as it settled into a distinctly stylized, successfully cartoonish look, such as in Ratatouille, The Incredibles, and Up. 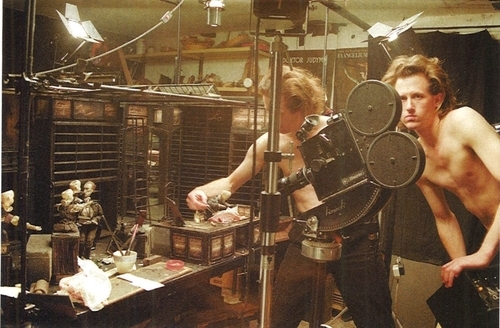 One notable moment in CG features that struck me was with the release of the feature Monster House, in which the setting was animated in a hyper-realistic mode and while the characters were created using performance capture, the design distinctly pursued a claymation look, most visibly noticeable in the hair of the characters. Stop Motion is one of the most accessible and productive ways in which young filmmakers can explore visual communication and storytelling. This is clearly demonstrated in the popularity of Brickfilms (for some particularly inspiring Lego work, check out Fell in Love with a Girl directed by music video maverick and eternal kid-at-heart Michel Gondry for The White Stripes) and the continued success of such studios as Laika and Aardman. 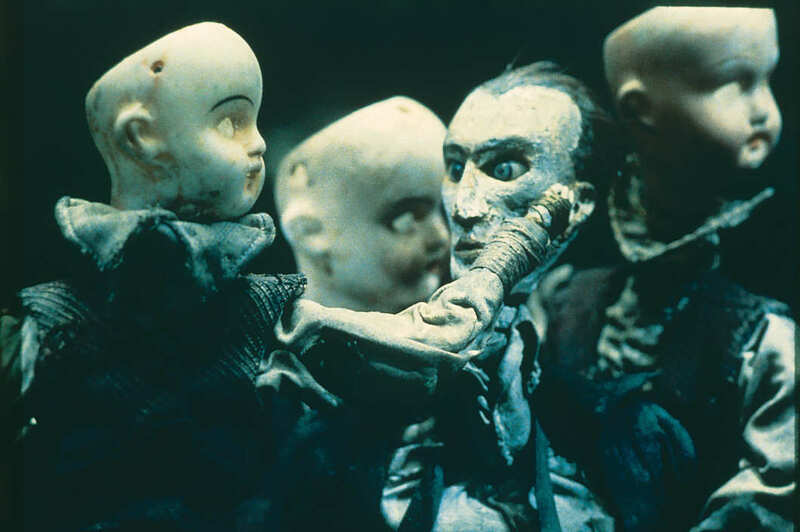 Right now at Film Forum in New York, a surprising partnership has emerged in the realm of stop-motion: Christopher Nolan, director of mega-blockbusters including the Dark Knight trilogy and Inception, has made Quay, a short documentary about the Brothers Quay and their films, and curated a touring program showcasing their groundbreaking, influential, thematically challenging*, and technically astonishing body of work. Earlier posts on this blog have highlighted the work of PES, Kirsten Lepore (see Stop Motion Restarted), Karel Zeman, Tim Burton, and other stop-motion creators, and another post presents a short documentary by one of my students, Frame-By-Frame, which provides an original, compelling introduction to stop-motion (and 2D animation, by extension). In addition, for interested educators, The Advanced Art of Stop-Motion Animation by Ken Priebe is an excellent resource for classroom use. A quick note that there is a superb exhibit on animation in Quebec City at one of the most innovative and inspiring museums one can find, the Musee de la Civilisation. The exhibit, Image X Image, leads the viewer through the key technical and creative aspects of animation as it also traces its history in Canada, particularly the groundbreaking work of the National Film Board and such important figures as Norman McLaren, Ryan Larkin, Co Hoedeman, and Caroline Leaf. It also provides numerous fully interactive areas for kids (and grownups too!) in which they can work at all aspects of creating moving images through objects, drawings, and playing with light frame by frame. An interesting aspect of the exhibit is that it features a number of spots where one can watch numerous short animated movies — yes, just sit down and take the time to see some of the finest animated shorts of the past century or so. Finally, I bring this up on this blog because it can lead us to a resource that is available even if you can’t get to Quebec City: the NFB site which features a wealth of information and links to many of their best movies. One recommendation: The Sand Castle, a classic, truly amazing stop-motion short by Co Hoedeman.